Despite a lot of new releases coming out recently, the new games were still unable to dethrone Call of Duty: Black Ops 4 at the top of the charts. The multiplayer shooter continues to be a sales juggernaut. As reported by Game Industry, Call of Duty: Black Ops 4 repeated its sales success for a second week in a row. This is to be expected since the game is getting great reviews and is a fun multiplayer experience. It appears the lack of a single player campaign is not denting the sales of the game in the slightest. The game sold over $500 million in sales in its first three days and is still one of the best selling games in 2018. The game is selling much better digitally than physically giving us a sign of the times that an all digital future for games is becoming a reality sooner rather than later. 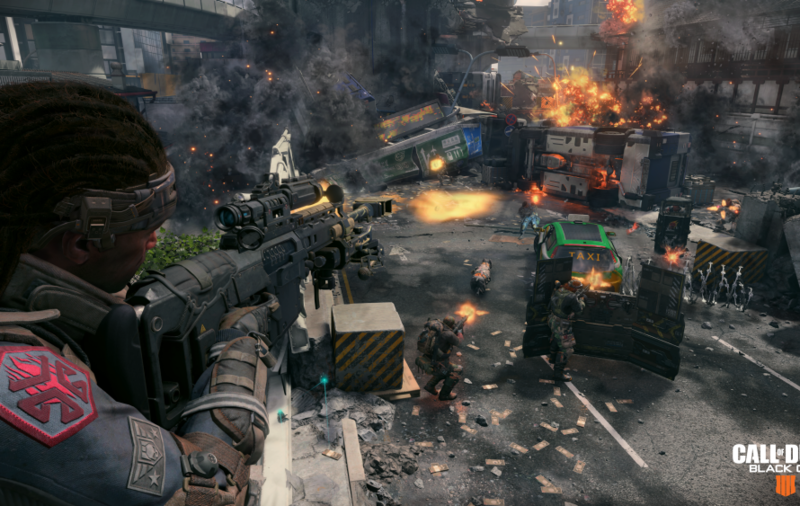 Call of Duty: Black Ops 4 managed to beat a host of new releases that did not really set the UK charts on fire. The highest new release entry was LEGO DC Super-Villains. It might not be a bad position because kids games like this start off slow and sell better during the Holiday season. A new release that seems kind of slow belongs to SoulCalibur VI. Sales were 55% less than its predecessor, but SoulCalibur V was released back in 2012 when physical sales were more abundant. 80% of copies of the game were on PS4 while only 20% was on the Xbox One. This statistic shows that PS4 players are more into fighting games than Xbox One players. The last new release that didn’t make the top 10 is Ubisoft’s Starlink: Battle for Atlas. 82% of the game’s sales were on the Nintendo Switch thanks to the Star Fox content.